At your local Basil Family Dealerships location, you’ll find a huge inventory of new cars for sale in Buffalo, Lancaster, and throughout the greater Niagara Falls area. The most convenient way to start your search is to explore our new car inventory online. We offer a wide selection of cars for sale from top automakers such as Buick, Cadillac, Chevrolet, Ford, GMC, Toyota, and Volkswagen. Find the new car, truck, or SUV that will best suit your needs, then contact us to schedule a test drive today! 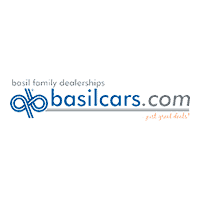 Why Choose a New Car in Buffalo, NY from Basil Family Dealerships? Why wait? Our friendly and professional sales team is standing by to help you get you behind the wheel of the new car in Buffalo or Lockport that best suits your budget and driving needs today!